Re: Twisted Holiday Painting Competition! HAPPY NEW YEAR! 2018 is going to be a huge year for Twisted with heaps of new releases coming soon! Have a C R E A T I V E start to 2018 by entering the Twisted Online Painting Competition! We've already received our first entries: here's a preview of Ollyver by Trent Denison, a Servants Company by Alvar Lagina and Nouveau by Boris Rothmund. Thanks for entering, guys! If you're painting something for the competition too, reply to this in the topic thread below! We'd love to hear what you're working on. 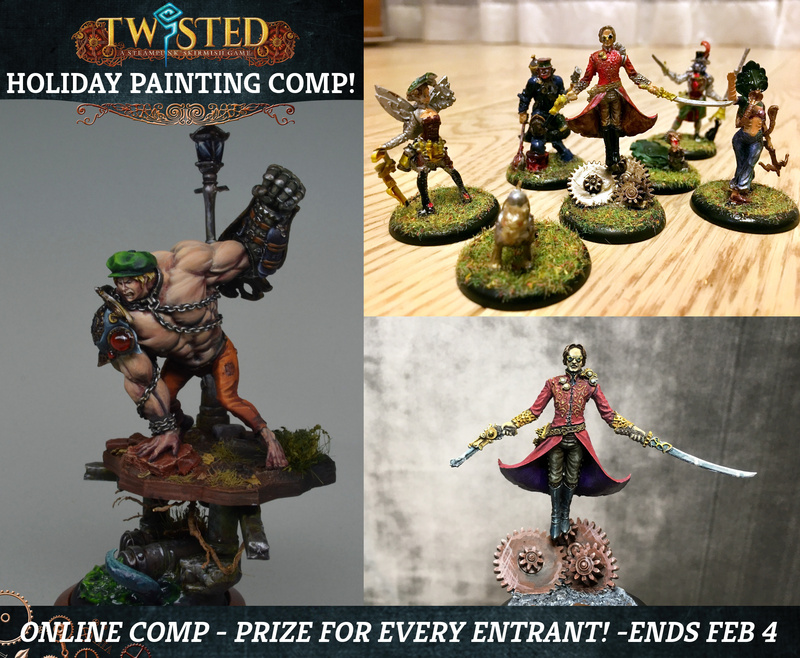 Everyone is welcome to enter the competition: just paint any Twisted miniature, submit a photo and you'll receive a prize (10% discount voucher!). Winners will receive a special Twisted trophy plus some free loot including special pre-release resins. Peter and I are really looking forward to seeing your entries! Hey guys, I'll be entering the competition soon, the current plan is a shot with some of my Urkin lurking in the streets of the table I'm (still in the process of) making.